The Asian Development Bank (ADB) and the Government of India signed in national capital a $300 million Loan Agreement to support lending by India Infrastructure Finance Company Limited (IIFCL).Speaking on the occasion, Mr. Sameer Kumar Khare, Additional Secretary (Fund Bank and ADB), Department of Economic Affairs, Ministry of Finance, who signed the loan agreement on behalf of Government of India said that the Project will enhance availability of long-term finance for PPP projects, improve operational capacity of IIFCL, and expand the portfolio of infrastructure financing instruments available to IIFCL. He further said that the loan is expected to compliment Government’s infrastructure building efforts. Mr. Kenichi Yokoyama, Country Director of ADBs India Resident Mission who signed the agreement for ADB, said that ADB funding is expected to fund at least 13 sub-projects through IIFCL, involving roads and renewable power generation, under the last tranche. The Project supports the renewed effort of the Government of India in accelerating infrastructure growth through increased Private Sector investment. The Project is relevant and responsive to the constraints to bank based infrastructure financing, fiscal space creation, and repercussions on GDP growth. 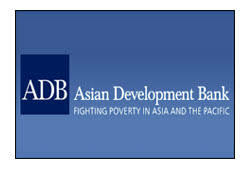 The $300 million ADB loan is expected to help catalyze the financial closing of $2.4 billion in investments. In addition, the attached technical assistance will support IIFCL capacity development and will focus on IIFCLs financial management and social and environmental safeguards.